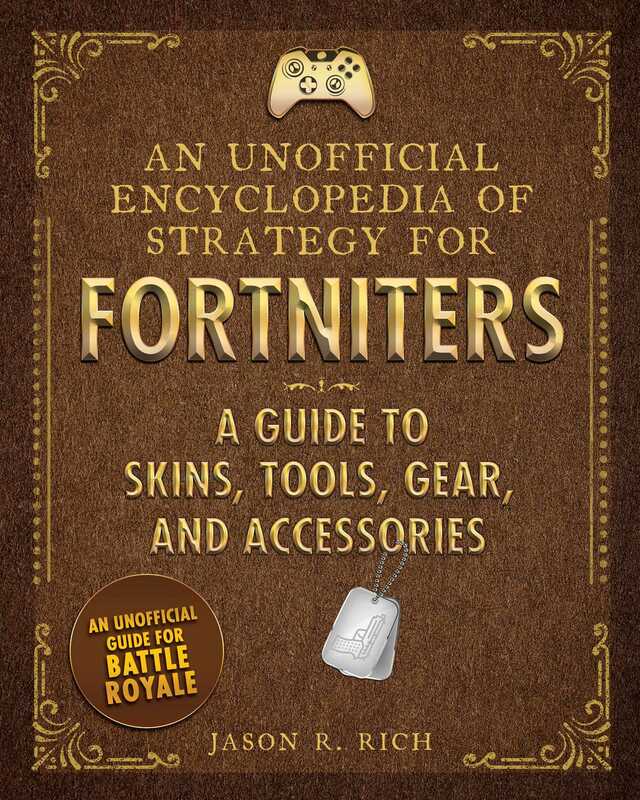 An Unofficial Encyclopedia of Strategy for Fortniters: A Guide to Skins, Tools, Gear, and Accessories will showcase some of the most popular, rare, limited-edition, and most outrageous outfits thus far released by Epic Games and demonstrate how these outfits can be combined with other optional and purely cosmetic items to truly personalize a character. As each outfit is showcased and described, along with its related accessory items, full-color screenshots will be used so readers can see what each outfit looks like, plus see a soldier wearing that outfit and using the related items within different in-game scenarios. As these scenarios are shown, readers will discover game-play tips and strategies they can utilize when playing Fortnite Battle Royale on any compatible gaming system. Make your character look unique and amazing, while taking advantage of the optional items offered within the game.